Daniel Avrahami completed his undergraduate degree from Queen’s University and received his Doctor of Chiropractic at the Canadian Memorial Chiropractic College. He earned his Master of Science in Biomechanics at McMaster University and he has chiropractic sports residency training through the Royal College of Chiropractic Sports Sciences (Canada). Daniel has worked as a chiropractor for 7 years in various multi-disciplinary clinics and for an Olympic bobsleigh and skeleton team. Daniel returned to school to become a physician assistant receiving his Bachelor of Science Physician Assistant degree from the University of Toronto. Daniel worked for two years as an orthopaedic physician assistant in outpatient clinics focusing on foot and ankle, spine and general orthopaedics prior to joining The Shoulder Centre. Dr. Stephen Gallay completed his medical school at McGill University, his Orthopedic Surgery training at the University of Toronto and then went on to complete an Upper Extremity Fellowship at St. Michael’s Hospital. He joined Ajax Pickering Hospital in 1997 and currently serves as its Chief of Surgery. His specialty focus is Arthroscopic and Reconstructive Surgery of the Shoulder. He is also a Consultant Shoulder Surgeon with the Working Condition Program at Sunnybrook hospital’s WSIB Shoulder and Elbow Working Condition program, a past president of the Ontario Orthopedic Association and co- Founder of mySmartSimulations (a US company specializing in simulation-based virtual reality training for healthcare). When Dr. Gallay came to Ajax Pickering Hospital his goal was to build a new upper extremity program within the organization. Within five years, the program grew further as he brought on Dr. Joel Lobo, who is also Shoulder & Sports Specialty trained. Dr. Joel Lobo, MD, FRCSC, completed his medical school and residency in Orthopaedic Surgery at the University of Toronto. 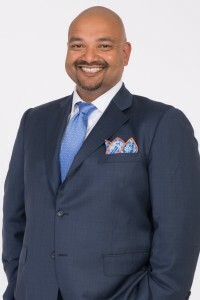 Following his residency, he completed a Trauma and Upper Limb Reconstructive fellowship at St. Michael’s Hospital where he specialized in Shoulder and Elbow surgery. Following this, he completed a Sports Medicine and Arthroscopy fellowship at the Toronto Western Hospital, taking care of players and staff from the Toronto Maple Leafs, Toronto Blue Jays, Toronto Rock Lacrosse Club and Toronto F.C. Upon beginning his practice at Ajax Pickering Hospital, his initial focus of practice was Arthroscopic reconstruction of the Shoulder, Elbow, and Knee. With the development of The Shoulder Centre, his practice has been further focused to include the reconstruction of sports-related knee injuries, as well as Arthroscopy and Open reconstruction of the Shoulder with a special interest in complex shoulder instability and rotator cuff surgery. Dr. Lobo is a consultant surgeon for the WSIB’s Shoulder and Elbow Working Condition Program at Sunnybrook Health Sciences Centre. He is a former Division Head of Orthopaedic Surgery at Ajax Pickering Hospital. Dr. Lobo is an educational consultant for Arthrex, Inc. 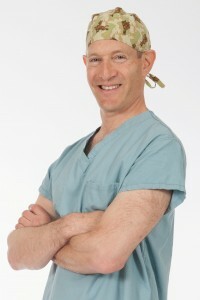 He regularly instructs at surgical skills labs in Canada and the United States to teach advanced arthroscopic reconstructive techniques in the shoulder and knee to residents, fellows and other practicing international orthopaedic surgeons. Dr. Meaghan Rollins joined Ajax Pickering Hospital in September 2018. Dr. Rollins completed her orthopedic residency at the University of Manitoba and subsequently went on to complete two upper extremity fellowships, at McMaster University and at University of Ottawa, focusing on shoulder, elbow, and wrist pathology. As a shoulder subspecialty surgeon, Dr. Rollins works with The Shoulder Centre at Ajax Pickering Hospital, which is a Regional Program providing both operative and non-operative clinical services to shoulder patients and is specifically designed to improve the health system through accountable shared-care specialist/primary care network partnerships. As an ambassador of The Shoulder Centre, Dr. Rollins works closely with Durham region physicians to help increase knowledge in managing shoulder patients within the local community. Dr. Rollin’s is passionate about all aspects of orthopedics, with special interest in upper extremity arthroscopy, trauma, and reconstruction. Kimberly Scott has served as a surgical physician assistant in Orthopaedic Surgery since 2015. Prior to joining Ajax Pickering Hospital, she had obtained experience providing inpatient services at Toronto General Hospital, Acute Care General Surgery and within Emergency Medicine, and Mackenzie Health Hospital in Richmond Hill. At Ajax Pickering Hospital, she works closely with the orthopedic surgeons in the diagnosis and treatment of shoulder conditions, along with general orthopedics inpatient services and assessment of orthopaedic patients in the Emergency Department. Kimberly earned her Physician Assistant degree in 2011 from the University of Wisconsin, Madison Physician Assistant Program and a Bachelor of Science in Human Biology from the University of Green Bay, Wisconsin in 2009. Additionally, she graduated from the Bellin School of Radiology Program in 2006 as a Radiographer and CT Technologist. Dr. Jesse Slade Shantz is a sports and shoulder surgeon and is a past Chief Medical Officer for OMSignal, a wearable tech company. He is interested in applying technology and management principles (Lean, etc.) to create a more patient-centered healthcare system focused on increasing value to users. 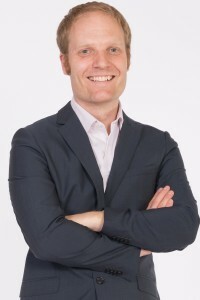 As well as holding a medical degree from the University of Western Ontario, with his residency in Orthopaedic Surgery at the University of Manitoba, Dr. Slade Shantz completed fellowships in bone biology research and orthopaedic trauma at the University of California, San Francisco and shoulder and sports at the University of Toronto. His research focuses on technology, simulation and clinical trials. Concurrently, he holds an MBA from the Ivey School of Business. With his cross-enterprise training Dr. Slade Shantz advises start-up companies in the digital health field specializing in data use and privacy issues. During his time at Ajax Pickering Hospital, Dr. Slade Shantz helped co-found The Shoulder Centre; he practices in Alberta. Dr. Jason W. Su is a certified Sport Medicine Physician under CASEM (Canadian Academy of Sport and Exercise Medicine). He has a degree and certification as a Pharmacist and went on to obtain his Medical degree and CCFP (Canadian College of Family Physician) certification. He then obtained a fellowship position at the University of Toronto to obtain further training specifically in the field of Sport Medicine and has been exclusively practicing in this field since 1999. Dr. Su has extensive experience with athletes and non-athletes in their various conditions and injuries. He has travelled with, and has performed consulting work for, various National/Professional teams, governing sport bodies, governmental agencies (eg. Department of Defense, Ontario Athletics Commission as ring/cage side physician, RCMP) and various corporate firms. He is also involved in cutting edge clinical trials of potential new diagnostic/therapeutic tools and treatments on the horizon. Dr. Su originally started his practice in the Durham region and since then has worked in close conjunction with the expert staff in the Durham region including operative assisting of various surgical procedures. He is excited to be part of and continue working with his colleagues in this new and innovative venture.